Here are some our favorite "Crab-O-Licious" crab dip recipes. Whether you need a dip for an appetizer, a party appetizer, or a delicious afternoon snack, you'll find plenty of crab dip options here to serve either hot or cold. We also have some of the best crab leg dips that will make your taste-buds happy while dipping your favorite crab meat into. You'll find that many of these dips are great for enhancing crab cakes, too. Zesty Crab Jalapeno Dip-will bring out the "cha -cha" in the best of us! Hot Crab-n-Shrimp Dip-They just go good together! Hot Crab and Cheddar Dip Spread - MM good with so many things! Delicious Crab Avocado Dip -fairly good for you, too! Cold Crab Cream Cheese Dip-comfort food! Creamy Mexican Crab Dip-Great with a margarita! Easy Cold Crab-n-Shrimp Dip -hot or cold, it's good! Cold Crab Wasabi Dip -Great way to clear your sinuses! Rhubarb Compote -Give it try! Tarragon Tartar Sauce -Boring! But maybe someone's favorite! 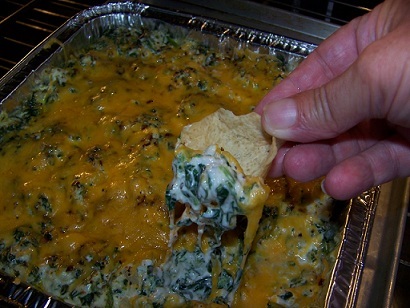 Baked Jalapeno Crab Dip-One of our all-time favorite's! Baked Crab and Artichoke Dip -This one is a favorite, too! Baked Crab and Shrimp Dip-And this one!!! Imitation Crab Dip With Cheddar Cheese, Please! Always serve hot crab dips hot. Most hot crab dip recipes can be kept hot by using a fondue pot, a crock pot, electric skillet or a hot tray. 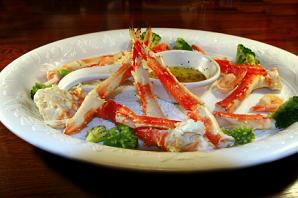 Cold crab dips can be made ahead of time and require less "last minute" attention. 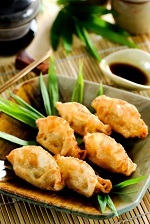 They can, also, be heated up and served warm if that is a preferred taste! Copyright© By Beverly Dawkins, Crab-O-Licious.com 2008-2019 Catch 'em! Clean 'em! Cook 'em! Eat 'em!